For women with low-risk pregnancies who plan to give birth at home with the help of a midwife, there is no increased risk of harm to the baby, compared with a planned hospital visit, according to new research by McMaster University researchers. The study, published by the CMAJ Monday, compared almost 11,500 planned home births and the same number of planned hospital births in Ontario over three years to determine serious events among low-risk women. They included both first-time mothers and women who had previously given birth. “Among women who intended to birth at home with midwives, the risk of stillbirth, neonatal death or serious neonatal morbidity was low and did not differ from midwifery clients who chose hospital birth,” said Eileen Hutton, assistant dean of the midwifery education program and a professor of obstetrics and gynecology for the Michael G. DeGroote School of Medicine. In Ontario, about 10% of births are attended by midwives, and about 20% of these are at home. In the study group, about 75% of the women who planned to give birth at home were able to, and about 97% of those who planned to give birth in hospital had their babies there. Women in the home birth group were less likely to have interventions such as labour augmentation, assisted vaginal births or cesarean deliveries. The incidence of stillbirth or neonatal death was 1.15 per every 1000 births in the planned home birth group compared with 0.94 per 1000 in the planned hospital birth group. “Compared with women who planned to birth in hospital, women who planned to birth at home underwent fewer obstetrical interventions, were more likely to have a spontaneous vaginal birth and were more likely to be exclusively breastfeeding at three and 10 days after delivery,” the authors wrote. Hutton said the findings support other similar studies done in British Columbia, the Netherlands and England. For women with low-risk pregnancies who plan to give birth at home with the help of a midwife, there is no increased risk of harm to the baby, compared with a planned hospital visit, according to new research by McMaster University researchers. The study, published by the CMAJ Monday, compared almost 11,500 planned home births and the same number of planned hospital births in Ontario over three years to determine serious events among low-risk women. They included both first-time mothers and women who had previously given birth. 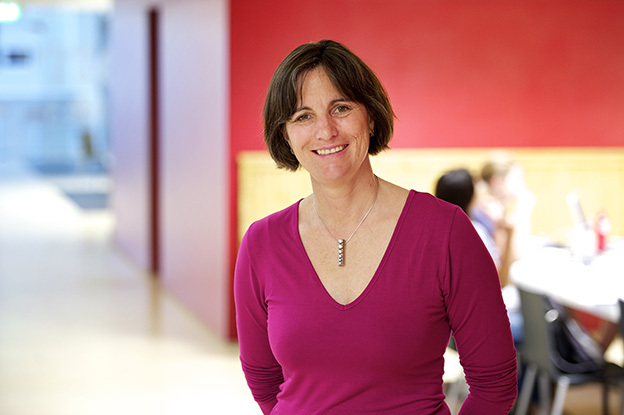 "Among women who intended to birth at home with midwives, the risk of stillbirth, neonatal death or serious neonatal morbidity was low and did not differ from midwifery clients who chose hospital birth," said Eileen Hutton, assistant dean of the midwifery education program and a professor of obstetrics and gynecology for the Michael G. DeGroote School of Medicine. In Ontario, about 10% of births are attended by midwives, and about 20% of these are at home. In the study group, about 75% of the women who planned to give birth at home were able to, and about 97% of those who planned to give birth in hospital had their babies there. For the planned home birth cohort, 8% needed emergency medical services, as did 1.7% in the planned hospital group, but Hutton said that is to be expected: “Midwifery in Ontario is well integrated into the health care system and clients of midwives have good access to transportation to hospital when required and typically a smooth transfer of care.” Women in the home birth group were less likely to have interventions such as labour augmentation, assisted vaginal births or cesarean deliveries. The incidence of stillbirth or neonatal death was 1.15 per every 1000 births in the planned home birth group compared with 0.94 per 1000 in the planned hospital birth group. "Compared with women who planned to birth in hospital, women who planned to birth at home underwent fewer obstetrical interventions, were more likely to have a spontaneous vaginal birth and were more likely to be exclusively breastfeeding at three and 10 days after delivery," the authors wrote. "As more women choose home birth and as the midwifery profession grows in Ontario, it will be interesting to see whether the lower intervention rates that have been consistently observed to date among women who plan home births are sustained." Hutton said the findings support other similar studies done in British Columbia, the Netherlands and England.